Monday – Yukon Fish & Game Association Youth Outdoor Education Camp – 8:00 am to 3:00 pm- Entire range closed to other access during this time. Regular evening events include Trap on Tuesday, Silhouette Rifle on Wednesday and Public Access on Thursday. 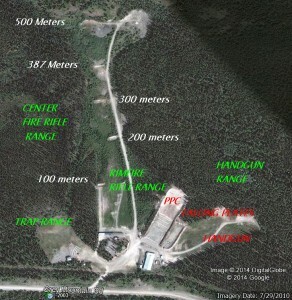 On Monday July 8, 2013 the Yukon Fish and Game Association will have exclusive use of the entire range for their Outdoor Education Youth Camp where a variety of shooting activities will be conducted. This means that general access to the range by members or user groups is not permitted between 08:00 am and 3:00 pm while these young individuals are on site. This is to ensure a safe environment for them to learn. Members may access the range after 3:00 pm.